Christmas in Dinoville is well underway. Everyone is busy collecting and giving sweets to friends, opening red or blue present boxes with matching keys and envying Christmas Trader Nicholas for his full-grown T-Rex. Have you met Nicholas’ four helpers from the North Pole yet? 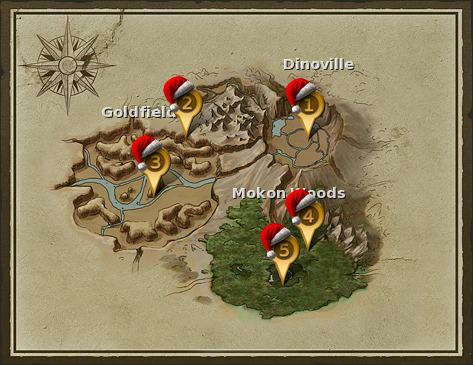 Two Christmas Elves each are providing quests of their own in the Goldfields and Mokon Woods areas. Be sure to visit them! 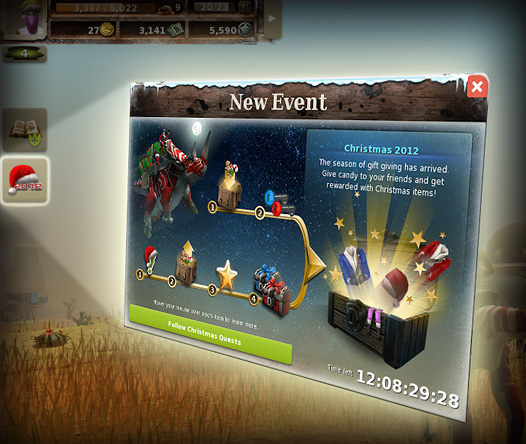 Be sure to check the event window in-game to find out how small mutual gifts turn into amazing rewards for you!